Extended Snippets in Google’s SERPs – Even More Clicks for Top 3? I’ve always considered snippets to be important – they act as a draw, and a good snippet with a strong CTA can often improve click-through from the SERPs. This change has only been announced today, but you can bet this was thoroughly tested and resulted in an improved user experience. Google is generally a master at iterative improvement to web UIs. How Will This Affect Site Owners? So the impact is an extension of the page height, and an increase in the top offset of each SERP listing. 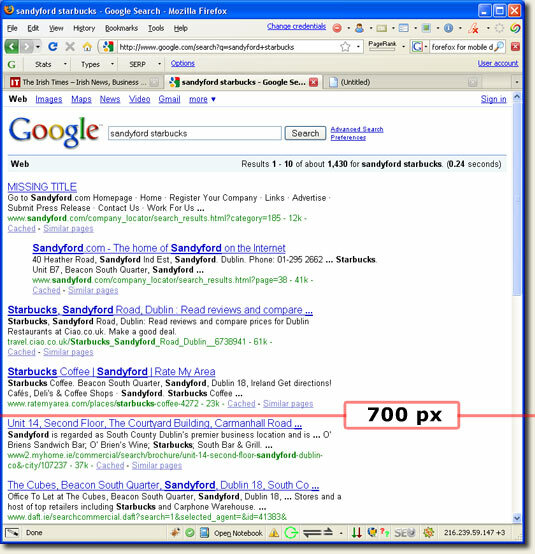 The interesting issue is that we’re going from 4 to 3 organic listings above the fold based on average screen heights of 700px. I’ve run some random queries, while this change doesn’t affect every query over 3 words, it does affect quite a few of the tiny sample I tried. There’s obviously some informational threshold below which the extended snippet isn’t displayed, so while it may not impact lots of searches it is going to change the display of some. 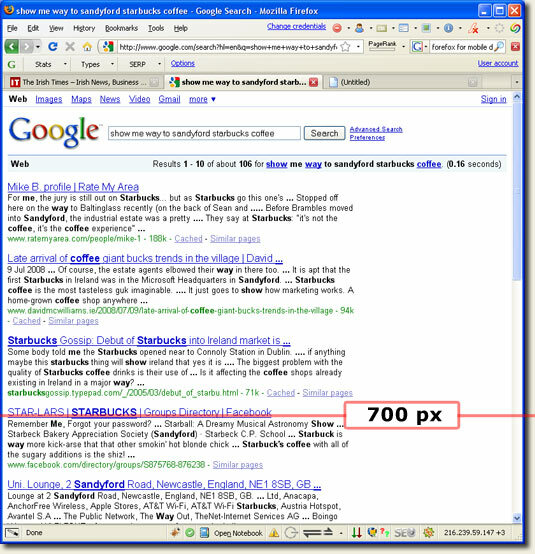 Will Extended Snippets Mix With Adwords? Definitely worth keeping an eye on anyway. I’ve done a few tests and noticed in the results that you can get 3 and 4 lines mixed in with 2/1 lines. Some listings are returning 2 lines and some 4. I’ve also seen them with Adwords listings and a search with a one box local listing. With local search and PPC the organic searches are continually getting pushed down the page. 8 paid listings and only 3 organic listings above the fold? Never seen that before, though I’m not surprised. I think it depends on whether the results actually have enough info to create an extended snippet. I’d be interested in any queries you found that brought up extended snippets and Adwords in the onebox area. Can you give you me any? I tried this with all the most competitive terms I could think of but couldn’t get any decent extended snippets to appear with masthead Adwords. Haven’t seen many competitive terms that bring up Adwords and longer snippets at this stage, no doubt will come across some in due time if they are relevant. IMHO the days of organic results dominating are on their way out and have been for a while. Local search, video, ppc and whatever next will further push the organics further down the page. A varied approach is the way to go. I wonder if they will stick with this. It certainly gives more power to the top 3 sites. It would seem to give less choice in a way. I like to scan through a few sites quickly after I do a search. More people are going to have to scroll down now. I have done some tests and noticed that the results can get lines 3 and 4 mixed with 2 / 1 lines. Some ads are returning lines 2 and 4. I have also seen the AdWords ads with a search box and one with a local list. With local search and organic search PPC continually getting pushed down the page. 8 paid ads, and only 3 organic listings above the fold? Never seen that before, although I am not surprised.